Sky (Sky Broadband) has used the backdrop of Ofcom’s on-going strategic review of the UK’s digital communications market to formally demand that the national telecoms regulator launch a competition review of BTOpenreach, which manages BT’s underlying broadband and phone infrastructure. The major Strategic Review was officially launched in March (here) and the last time Ofcom ran one of those, which was around ten years ago, it resulted in the creation of Openreach as part of a “functional separation” from the BT whole. A rush of other changes came with Openreach, such as Local Loop Unbundling (LLU) that is often credited with opening the broadband and phone market up through cheaper / better services by giving rival ISPs access to install their own kit inside BT’s infrastructure (telephone exchanges). But ten years on and many of BT’s key rivals continue to complain that the operator has too much hold over the telecoms market, particularly the big boys of TalkTalk and Sky Broadband that are broadly dependent upon Openreach’s infrastructure for their own services. TalkTalk has often complained that the prices for FTTC (VULA) “fibre broadband” are too high, yet Ofcom last year rejected such a complaint (here); although they did later impose a new “margin squeeze” test to balance the concerns (here). TalkTalk also wants to see Openreach being completely separated from BT. 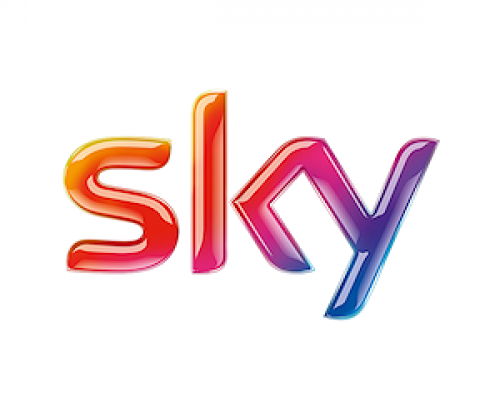 In that sense it’s little surprise to find that Sky has similarly chosen now as the time to request a formal competition inquiry into Openreach, with Sky complaining that the telecoms giant is “failing” broadband consumers and not investing enough into their underlying infrastructure. • More than 90% of new line installations, which require an Openreach engineer to attend, take 10 calendar days or longer. Almost one in ten installations takes longer than 30 days. • Openreach changes the agreed installation date for Sky customers on average around 36,000 times a month. • Openreach misses over 5002 appointments each month to install new lines for Sky customers and fails to complete a further 4,000 jobs per month. • Fault rates across Openreach’s network increased by 50% between 2009 and 2012, the last year for which reliable data is publicly available. • Openreach’s performance in fixing faults is consistently below the targets set out in agreements with service providers. Some of the above examples won’t come as much of a surprise to ISPs in this industry, although consumers who rarely see such information may feel more illuminated. “We are drawing attention to the problems in broadband because they are important to the economy as a whole. They affect competition between providers and have a direct impact on consumers and small businesses, resulting in inconvenience, dissatisfaction and loss of productivity. The UK needs to get the basics right in broadband as well as develop the networks and services of the future. Admittedly it’s a lot easier to moan at Openreach about a lack of investment, assuming you can ignore the £2-3bn commercial and BDUK based roll-out of FTTC/P or other evolutions like G.fast etc., when you’re not tasked with having to make the same commitments yourself (note: we’re not sure exactly how much was ultimately spent on the purely commercial FTTC project). Happily Sky and TalkTalk are very slowly rolling out their own FTTH/P network in York, which may eventually expand into two more UK cities, but this is very much an experimental investment and not yet a project of truly national scale. Indeed it’s not clear if either could easily find the money to develop such a network across the UK, particular given future competition from BT’s G.fast and Virgin Media’s cable network in many of the same areas. It’s also unclear whether the total separation of Openreach would be the magic pill that so many assume, particularly on the investment and engineering side. Indeed it’s just as possible that the situation may get worse rather than better, which is why it’s so important for Ofcom to carefully weigh all of the possible ramifications before announcing a decision. Never the less BT’s huge investment into TV content and now Mobile is certainly putting some additional pressure on the operators rivals, which are in-turn responding with more market consolidation of their own and increasing pressure on Ofcom to help maintain a level playing field. But Ofcom’s new CEO, Sharon White, has already hinted that she would prefer a “lighter approach” to regulation and those aren’t the words you’d use when planning for the total separation of Openreach from BT (here). On the other hand the regulator recently proposed to open up BT’s Dark Fibre network to rivals (here), which seems like the opposite of a lighter approach. In any case Ofcom’s strategic review is imminently about to conclude its initial evidence gathering phase and then the first proposals for change should surface by the end of 2015. No doubt Sky’s formal complaint will play a part in their approach, but it’s too early to say how much of an impact it might have. Sky’s full complaint can be downloaded here. Added some more details above from Sky’s official response. I’ve never understood the argument that separating Openreach from BT would limit investment. Firstly, openreach has substantial revenue from subscriber line provision alone. A line costs ISPs circa £10 a month. There are about 22M lines, so thats 2.5B – 3B revenue pa. A small slice of this is sufficient to fund annual FTTC investment. Secondly, almost half openreach lines are Sky & TalkTalk LLU. If maintenance and upgrade of these was not covered by Openreach revenue, why would BT want to chip in extra to finance LLU lines used by other operators ? A separated Openreach looks a viable proposition and would offer much better clarity and less scope for conflict of interest. How much of that pa revenue is left after maintenance and wages buildings etc etc what about non fttc development , new tech etc? Please add 60,000+ telephone boxes to support… these are “real” bread winners! It is easy to criticise Openreach as a near monopoly provider of broadband capacity though quite a bit is justified when it comes to the practical installation and fault-finding. However, it seems to me, that there is little interest in providing their own street infrastructure apart from a few experimental pecks here and there. I suppose that small fibre providers have failed due to lack of finance, customers and city confidence. Big players as Talk-Talk, Sky and possibly Vodafone ought to attract big city bank finance to invest in infrastructure as it must be relatively easy to compute the return on investment (e.g. subscriptions, business services, capacity re-leasing). The competition of having multiple infrastructure providers would improve service if not costs and revenue levels. All that said, there seems to be no discernable interest in liberalising the Liberty Global (Virgin) infrastructure by re-leasing capacity to other players. Certainly this ought to be tackled as well as separating Openreach from the BT umbrella. Not only does tony p probably not remember how bad it was under the GPO and in public ownership but most people have never realised that this was the time when all the Aluminum cable was laid – to save costs of course. So much for the public sector doing anything properly or on time – as is ever the case. If putting in new infrastructure was so profitable then the banks would be hammering on the doors of the likes of vodafone, sky etc. The fact that they are not and that the UK Gov was not overwhelmed by bidders from across the globe for our BDUK program suggests that it more of a disaster area most want to avoid. Mind you, we have been here before. Decades ago we had companies promising to fibre up the UK – they cherry picked the best bits (urban area) and then promptly went bust: no surprise there! About nationalisation, I did have my tongue firmly in my cheek! And yes, I do remember how it was for ‘God’s Poor Orphans’ as one of my ex-GPO colleagues expressed himself. I was an employee of Careless and Witless through privatisation and was later seconded to project Mercury. The GPO had some brilliant developers at Dollis Hill and later Martlesham. Goonhilly was an amazing sight inside and out in 1981. Those were the days of a ‘can’t do’ mentality to which we seem to have returned! Finance seems to be available for satellite broadcasting (which in my opinion will be a relatively short lived phenomenon) and also for major long distance cable deployment and development. So returns on investment are there. I believe that the financiers in the UK want a quick return on investment hence those companies without a strong revenue stream, like the fibre startups, will be starved of the necessary capital to complete the projects. Mind you, I suspect the startups are over-optimistic about the speed of deployment and the real cost of putting fibre and the infrastructure in the ground. Satellite BSB, NTL and Telewest had a hard time financing their services. Again, foreign ‘white knights’ came to the rescue, having faith in their product. I’m aware that BDUK is not just treasury funding but is subject to political whims anyway. As someone who is stuck with no FTTC for the forseeable future and no cable services despite a NyNex (now Liberty Global owned) F.O. trunk laid past our small community about 12 years ago but no outlets, I know only too well about urban cherry picking! It would be years before Openreach or Virgin would recoup the costs of High Speed Broadband hardware. BT seem to have a monopoly and an unfair advantage over other ISPs through their links with OpenReach. I live in rural mid-Wales and, not unsurprisingly, have issues with broadband. Most of the problem seems to be down to the numbers of users (contention ratio) as during weekdays I get a very usable 6Mb. Afternoons, evenings and weekends are a very different story though with download speeds typically around 0.3Mb! TalkTalk have taken a business decision not to unbundle our small exchange leaving only BT with access to better technology. I am definitely not a telecoms expert but it would seem that the Welsh Assembly pumping large sums of money into improved broadband only benefits BT in rural areas! You’ve answered your own question – nobody else is interested in unbundling your exchange at the moment, so only BT is prepared to go there, the others could if they wanted to but none do. So.. 10 days or longer, 10 days sounds fair enough to me, what do Sky want in terms of a turn around and how much extra are they willing to pay for that? Sky make some good points, though the odd one relies on shaky data. An obvious data point we do have is the experience of New Zealand, which has been positive, and Japan, which has been positive. The big sticking point would I imagine be the pension liability. There is no reason to think separation of Openreach would have anything other than at worst a neutral effect. If separation of Openreach harms BT Group there is clearly a problem as Openreach shouldn’t be subsidising the rest of the group its presence confer advantages. If separation harms Openreach operationally there are problems. BT want to merge Openreach and Wholesale. Great idea. Merge them then divest them from the rest of the group. Doing so to NTT hasn’t exactly harmed Japan. If it achieved a neutral effect why bother even if you could get it through the courts at great expense. Sky and TT have been griping about separation for years and will continue to for years but I can’t see it happening. Sky are shouting louder now because BT are encroaching on their space and they don’t like it.